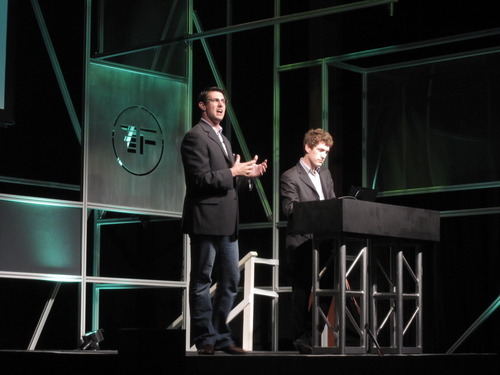 Finovate Fall 2012: A solution to the mortgage crisis? Check Out the Newest Way to Measure Your Credit and Loan Health! 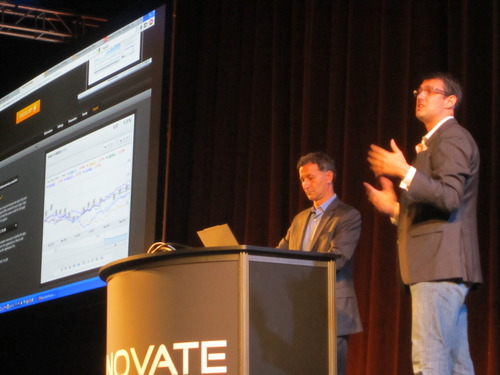 Finovate Fall 2012: Less tech, more desire. Finovate Wrap-Up: What Can FinTech Do for You? Really? Locaid: Enter the Digital Panopticon! Tuition.io — It’s a Pun, Get It? 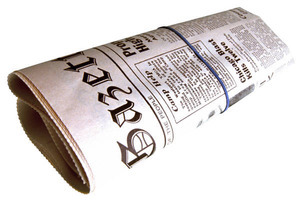 Be sure to check back because we’ll add more coverage as it is published throughout the week. “Thomson Reuters is pleased to introduce their App Store solution that enables access to the latest innovative capabilities and tools for use across the digital enterprise. Here’s part 2 of the sneak peek of the companies that will demoing at FinovateFall on September 12 and 13 in NYC. Each company provided a short summary of the innovation they will debut on stage. We published 20 last week and we will complete the preview next week. “relevant and key” market data, analyst sentiment and social intelligence to your mobile device. Today, you seek this information. Stock Panorama reduces the homework and brings it to you when it matters so that you are never surprised! The app “follows” key events and information for your stocks and integrates them into your personal calendar – so you can see what’s ahead for your investments. You get the right information anywhere, anytime. 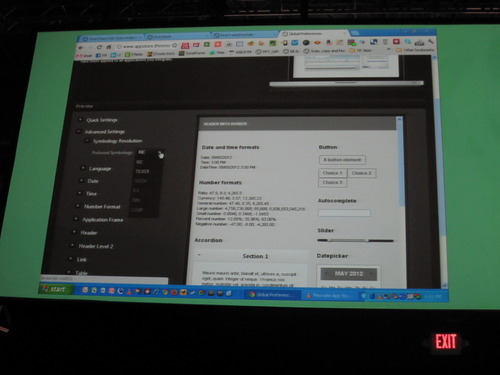 Backbase Launchpad is a new and unique banking experience, based on Backbase Portal technology. Launchpad offers the latest innovations and best practices in user experience design and cross-device customer journeys. The goal of Launchpad is to drastically bring down time-to-market for online and mobile projects. Launchpad is immediately optimized for use on regular browsers, tablets and smartphones and is entirely manageable by the e-business and digital teams using the Backbase Portal Manager. Launchpad is seamlessly integrated with the Backbase App Center and includes apps such as: Accounts Overview, Payments, PFM, Stock Portfolio Manager, Message Center etc. Bolstr is the first crowdfunding platform focused exclusively on main street small businesses and the only platform able to legally operate pre-JOBS Act. Bolstr’s innovative platform empowers communities to invest in local, small businesses. We believe that local investment is the key to economic growth. Through Bolstr, we have created a marketplace where individuals can invest in and support the local small businesses that make their communities home. Cachet’s patent-pending CheckReview helps financial institutions identify potential check fraud with the ability to view and validate the check image in real time. In the past, financial institutions could only view a check image after it had been cleared for deposit. By allowing access to the images before clearing, Cachet gives clients greater control in mitigating check fraud. Previously, when offering new financial products and services, the only two options available were to buy or build. You’ve tried buy, but now your business structure can’t sustain innovation and integration is an absolute nightmare. You’ve tried build, but the industry moves quickly and you can no longer keep up. Both options cost a fortune in maintenance. Now there is a third option. Open Development Banking Platforms are the new kid on the block and are promising to be transformational for the financial services industry. Let us show you why. Personal finance cannot be properly assessed in a vacuum. Credit Sesame will introduce its new financial fitness indicators, designed to help a user fully understand and optimize their individual financial situation. Users can take advantage of current market trends and identify financial successes of their peers to better their financial future, preventing consumers from leaving money on the table by identifying ways to grow their wealth. Dashlane’s mobile apps enable instant checkouts, registrations, and logins universally across the web without any merchant-side integration. This is powered by proprietary real-time semantic analysis of webpages and a super-secure, locally-encrypted personal data vault. to conduct keyboard-less transactions on any website from their mobile devices – a critical game-changer on a device that lacks a keyboard. Mobile shopping cart abandonment is over 90% today. Its goal is to slash that down and unlock mobile commerce at scale with a product that is simple, secure, and universal. Customers are becoming increasingly integrated with their financial institutions. ACH payments are up about 5% each year. Online and mobile banking continues to rise and nearly two-thirds of online customers are using bill pay. Yet, this integration leaves consumers feeling trapped. In a recent Consumer Reports survey, 63% of respondents said concerns about transferring automatic payment and deposits were keeping them from switching banks. Are you prepared to reach this highly integrated customer base? The Switch Is On! Emida’s Mobile Wallet (CAT) allows consumers to apply cash to their virtual mobile account without requiring an existing bank account or credit card collateral. Account holders can load value to their Cash and Transact account and then transfer cash or pay for goods and services with anyone, anytime, from anywhere. The Cash and Transact vision is to create a borderless community connected by transactions via the Cash and Transact mobile wallet. The U.S. is moving to EMV (Chip & PIN) no later than 2015 meaning the biggest overhaul of payment infrastructure since the introduction of the plastic card. Handpoint presents a mobile payments platform for developers. It´s simple and secure and allows developers to easily add EMV payments to their applications and get paid for transactions made through their apps. The platform can be white labeled to larger partners, e.g. acquirers and MNOs so they can offer branded mobile POS solutions. The platform erases all PCI issues, even for large merchants, by using state of the art security measures including Point-to-Point encryption. Ignite Sales is launching the world’s first Bank Product Concierge which will change the way retail banks are able to sell financial products consistently to consumers and to manage their branch network. The solution is turning bank branches, call centers and websites into account opening machines, helping them easily and cost effectively reach their customers to upsell and cross-sell products consistently across channels. The Concierge Analytics Dashboard, the first in the industry, provides the only way for bank executives to determine what products should be sold based on eligibility data. Story of My Finances is a completely new approach in digital financial customer service. It takes online banking and PFM to the next level of mass retail financial planning and advice. Stories are customer-driven financial life processes, such as “How to spend less”, “Prepare for a rainy day”, “Buy a home” or “Retirement planning”. Stories help end-customers to get financially fit and to have a peace of mind. Stories are the missing link between everyday people and financial products. We believe that we can improve people’s financial life by licensing our white-label technology to financial institutions. Remember the last time you refinanced your mortgage? Or was it so painful, time consuming and costly you’d like to forget it? Imagine if your FI let you click a button on a website and lower your rate with no appraisal, credit or income check, $0 fees added back to your loan and not starting over with a new 30 year term. Payfone is the remote mobile commerce company that solves mCommerce checkout by linking mobile identity with the payment process to provide merchants with the easiest, fastest and most secure mobile checkout possible. s through the bank and carrier network, Payfone mCommerce Service requires no changes to backend systems, no new payment mark and nothing for consumers to download or install. Today, the people with the least amount of money are charged the most to pay bills and get checks. Plus, they have to jump through more hoops. PreCash Flips that model with mobile. Come learn about Flip Money, the first viable mobile app for underbanked consumers with immediate check deposit and free bill pay transactions. Imagine a world where, as a consumer, you can use things you already have to enhance your online and mobile experience (your smart phone, bank card, tablet or PC). Imagine a world where, as a bank card issuer, you can minimize card-not-present fraud and provide value-added services based on strong authentication, to your consumers and commercial partners. Imagine a world where, as a merchant, you can sell to your clients through extended channels, securely, and with little risk of card-not-present fraud. And imagine a world where online service providers such as governments can actually transact with their constituents after ascertaining their identity, while still transacting anonymously. Segmint’s breakthrough analytics anticipate real-time consumer spending patterns and help FIs deliver a personalized mix of cross-sell and up-sell offers on their public and private websites. Segmint’s new and highly-advanced One Button application allows FIs to create customized online product and service campaigns in under a minute – automatically targeting the offer, creating a banner and assigning website delivery locations. With analytics that refresh daily, this One Button application empowers FI marketers to achieve unprecedented speed-to-market and deliver highly targeted cross-sell and up-sell campaigns while increasing campaign ROI. Thomson Reuters is pleased to introduce their new App Store solution that enables access to the latest innovative capabilities and tools for use across the digital enterprise. The Thomson Reuters solution enables financial institutions and third party developers to effortlessly create pioneering market monitoring and investing apps. By seamlessly integrating the combination of Thomson Reuters content assets with a firm’s customer account data and other data sources, Thomson Reuters is helping institutions leverage the providers of financial insight to deliver a differentiated experience for their customers while lowering both development costs and time to market. Truaxis understands that Big Data is a profitability gold mine for banks if properly gathered, interpreted and acted upon. With its Profitability Analytics module, StatementRewards lets banks easily reach their most profitable customers and create campaigns to further improve customer value and loyalty. Data is power. Whether you’re managing personal finances or running a business, the right data and tools enable the right decisions. Good data informs, educates, projects, and even anticipates future actions. Who doesn’t want a crystal ball? Yodlee brings data to life. At Finovate, you’ll see what that means for Pete, a small business owner running a successful exotic automotive parts business. Parts is parts? Not in our world! Do you have the (data) power? Come find it at Finovate! Yodlee. 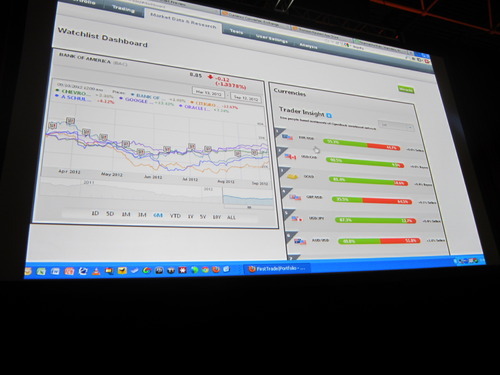 Stay tuned next week for another sneak peek of FinovateFall 2012 presenting companies. “Thomson Reuters is pleased to introduce their new App Store solution that enables access to the latest innovative capabilities and tools for use across the digital enterprise. Here’s part 2 of the sneak peek of the companies that will demoing at FinovateSpring May 8 and 9 in San Francisco. Each company provided a short summary of the innovation they will debut on stage. We published 23 last week and we will complete the preview next week. Don’t miss the opportunity to experience the hottest innovations in financial technology. Get your FinovateSpring ticket here. InvestorBee puts data at consumers’ fingertips so they can make smart, confident investments. It’s fact, not opinion. Users can tap into the database to learn from the experiences of nearly 1.5 million investors. It’s an investment health check. Users can compare their portfolios and multi-asset products with fact-based, relevant benchmarks to understand whether they receive fair value. It’s simple investing without guesswork. Users can choose an objective risk-based strategy to track that’s right for them in a few easy steps. Users extract wisdom from the crowd to make better, simpler investment decisions – all for free at InvestorBee. iQuantifi takes you way beyond budgeting! It helps you reach all your financial goals and tells you exactly how you can do it. No estimates. No calculators. Just solid advice and the power to do it all online. mainly due to the lack of access to competitive products and the absence of user-friendly financial education tools. This problem is exacerbated in emerging markets, where financial markets tend to be less developed. Kuspit offers retail investors an online platform to learn about investing, apply what they’ve learned, and invest in the same platform. All of this is available in an easy and progressive manner, while sharing ideas with the community. The current infrastructure to deliver capital to Main Street businesses is broken. It’s simply too expensive for banks to manually analyze and underwrite a small loan – whether it is $10,000 or $100,000. As a result, banks make fewer loans, and creditworthy small businesses are denied the capital they need to grow. On Deck has created an efficient, effective and proven solution to this fundamental problem. By leveraging new digital sources of data, any institution can increase its small business lending through the On Deck platform, delivering funding decisions in minutes rather than weeks. PaySimple is launching an innovative platform for banks to set up their own private-labeled version of cloud-based receivables automation. With this platform, banks of all sizes can easily bring to market a sticky value-added offering to attract and retain small business members, while adding a new revenue stream. PaySimple will demonstrate how banks can set up custom-branded software in a few simple steps and how small businesses can immediately benefit from a system that combines payment acceptance across channels integrated with customer management. With 80% of Americans between the ages 20-40 now using social media and playing social games, how can financial institutions reach their customers in new ways? Introducing SaveUp – an innovative program that uses game mechanics to reward good financial behavior. When users save money and reduce debt, they earn credits to play for prizes like cars, travel, and cash up to $2 million. Financial institutions can use a customized SaveUp experience to help their customers make better financial decisions, increase engagement, and cross-sell products. Current FI partner campaigns have conversion rates of up to 44%. Build a deeper relationship with your customers while helping them succeed. SoMoLend makes investing in your online community simple, affordable, and social. SoMo is an online platform that uses patent-pending lending technology executed within a hyper-localized geographic scope to connect small business borrowers with individual and organizational investors. SoMo’s user-friendly technology allows business borrowers to raise capital from friends and family, customers and community supporters as well as from Facebook, Twitter and LinkedIn connections. Investors lend money directly to borrowers through the SoMo platform, which then packages the loans and sells them as notes, bypassing banks and credit-card issuers. Thomson Reuters is pleased to introduce their new App Store solution that enables access to the latest innovative capabilities and tools for use across the digital enterprise. Thomson Reuters’ solution makes it easy for financial institutions and third-party developers to create and integrate pioneering market monitoring and investing apps. By seamlessly enabling the combination of Thomson Reuters content, firm’s customer account data and firm’s internal and other data sources, Thompson Reuters is helping institutions leverage the providers of financial content. This delivers a differentiated experience for their customers while lowering both development costs and time to market. Approximately half of the world’s population are cash-preferred consumers (unbanked, underbanked, teens or privacy-concerned) and have no bank account or limited access to traditional financial services. eCommerce merchants have not had a way, until now, to monetize this segment of consumers simply missing out on the substantial revenues they represent. ZipZap will unveil the latest innovations in global cash transaction solutions for eCommerce merchants. CashCade ensures no more lost revenue from card-based transactions being declined, while CashPayment enables consumers worldwide to make payments for online purchases at offline locations using cash. ProfitStars partners with ACH Alert to introduce new solutions to mitigate losses from ACH and wire fraud. Striata partners with Tricubes, an ID authentication specialist, to provide Malaysian clients with secure document delivery. Forbes discusses Dwolla’s location-based payments service. Thomson Reuters named one of Ethisphere’s 2012 “World’s Most Ethical Companies” for fourth successive year. HelloWallet announces V2 of its iPhone app with account setup, budget creation, & manual transactions. SaveUp launches pilot program at 20 credit unions. Utiba takes on ValidSoft’s security solution. Ping Identity educates consultants to better serve end users.